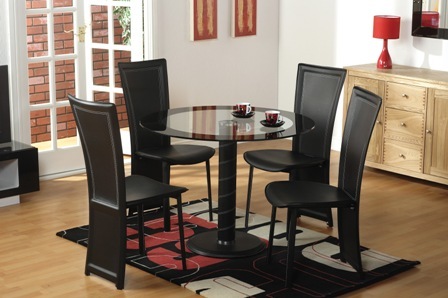 Glass dining tables look very impressive with genuine leather chairs. Sticking to genuine material is incredibly important, as faux leather chair cushions start to crumble very soon, while genuine leather will last for years to come. Go for lights shades of leather if you would like to create a simple modern environment and contrast with darker leather shades for a more luxurious modern effect. Fabric and textiles also work fine with glass. Bright velvet can become a very impressive addition to a clear glass table. If you are going with tinted glass table surface, you should be looking for textile shades that will either blend in with the table or, on the contrary, contrast it. Both options are really impressive even though the effects will be quite different. Plastic is one more idea that can work both with clear and tinted glass table. 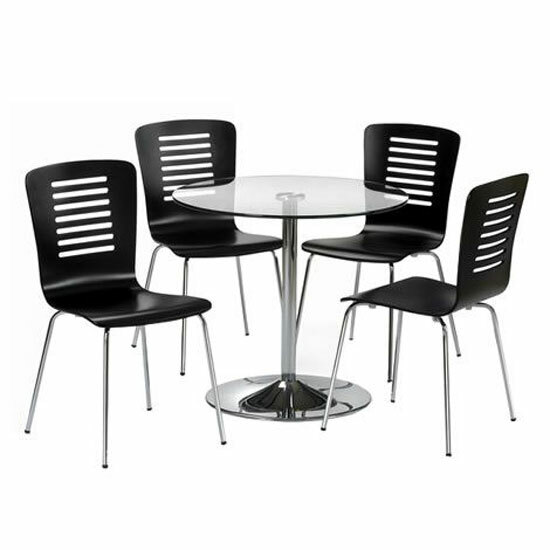 Transparent dining chairs, for example, look very unusual. In a combination with clear glass dining table, transparent ABS will give the set an almost invisible look, which is an astonishing idea for modern dining rooms, as well as dinging areas in any other rooms. Glass and metal (chrome, preferably) will give your dining set a bistro like look. The idea is not a perfect fit for all kinds of settings, but in a compact room with minimalistic interior, the arrangement will work fine. 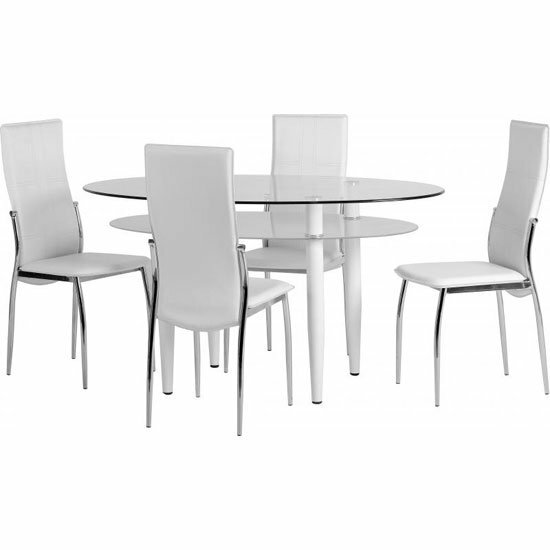 High gloss dining tables will look best of all with leather chairs. Similar to working with tinted glass tables, you should first of all think over if you are going to contrast the table with your chairs, or look for matching arrangements. Chrome is another material example that works fine with high gloss dining tables. 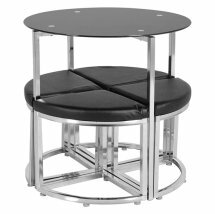 Eye catching chrome base will look good with any upholstery type — not necessarily leather — and will create a very modern and memorable environment in your dining room. While working with wooden dining tables, matching wooden chairs is one of the obvious choices. This is one of those decoration ideas that will never go our of style, so if you are looking for something classic rather than trendy, this is an obvious choice for you.